This book gets off to a rough start, both for the heroine, who gets railroaded out of business by hostile locals and becomes desperate for money, and for the reader, who has to endure her aggressive insecurity and bull-headedness until the story finally takes off. It’s obvious from the opening pages that things are going to get interesting, and Whitney Monroe will ultimately be transformed. But . . .
. . . lots of reader toe tapping until Whitney finds her grandmother’s sister’s letters. Then, whoosh! The story-within-the-story begins. The letters provide the history that explains why Whitney gets called back to the Outer Banks of North Carolina right in the middle of her business catastrophe in Michigan. They also provide the vehicle for tying past, present, and future together. The history is based on true events. Back in the Great Depression, a program called the Federal Writers’ Project was formed to keep thousands of writers, photographers, and their ilk employed. 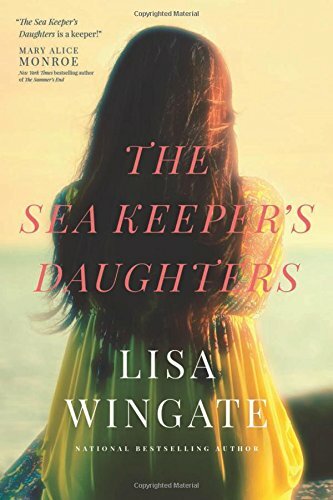 In The Sea Keeper’s Daughters, Whitney learns that her grandmother’s twin sister, Alice, previously unknown to the surviving family, was one of the field workers in the FWP. She traveled the Blue Ridge Mountains backcountry and recorded stories of the forgotten natives’ lives. Alice not only wrote up these stories for the government but also wrote about them in letters to her sister, who ripped them apart and left them behind in the old hotel Whitney inherits. Alice’s journey of discovery parallels Whitney’s internal journey two generations later. The letters, combined with the treasures Whitney unearths in the house and the cast of characters attached to it, break Whitney’s patterns and free her from the past while solving family mysteries. Since many of us spiral inward and spin wheels the same way, it’s easy to relate to her struggles. She’s luckier than others in having a batch of letters from a wiser ancestor, along with a caring support team, to help her jettison her emotional baggage and allow good things to happen. Once she turns that corner, the story pace accelerates and the shattered pieces come together into a new, unforeseen whole. Which is exactly what happens. Whitney describes her own transformation: “Living, really living, wasn’t about clinging to control but about giving it away.” This probably qualifies as the moral of the story, and her getting there makes it all worthwhile.